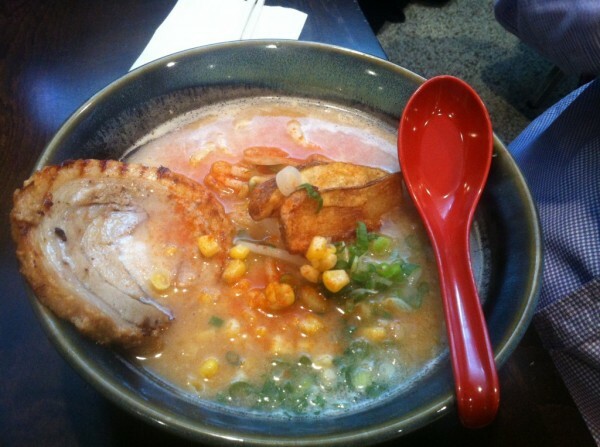 After hearing a couple murmurings of a new ramen place downtown, we stopped by Ramen Misoya montreal for a quick bite to eat. Doing some research online led us to find that Ramen Misoya is actually an international chain that has been recommended by the Michelin Guide in 2013. Cool. The first thing we noticed after walking into the restaurant was the smoke. It seemed like the restaurant had a decent set up for ventilation but that day, it just wasn’t working. You could literally see the smoke in the air from coming from the grill and the cook space, so much so that the air closest to the kitchen was a slightly clouded. Not super pleasant – we gave our server a heads up and he quickly opened the front door to let in some air. Minus the cold, it made a big difference. 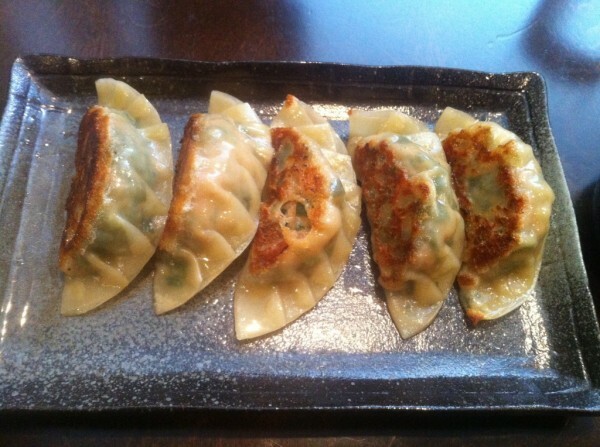 The pan fried gyoza had a nice, doughy, thin skin. They tasted fresh but we’re not sure if they’re made on site or not. When dipped with the accompanying soy-vinegar sauce, you have to be careful you don’t overdo it, otherwise it gets a touch too salty. 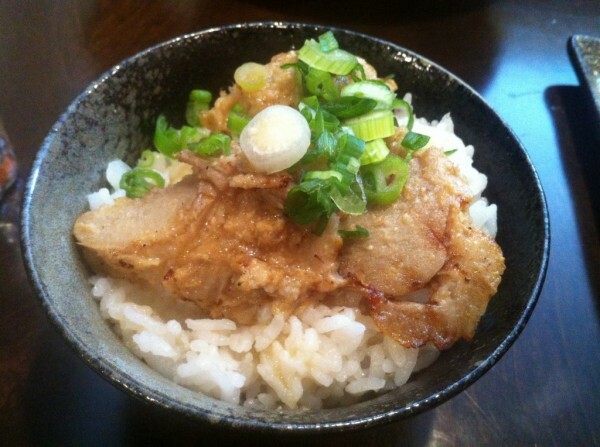 The cha-shu don was a small bowl of rice with three pieces of pork on top. A little on the small side portion-wise but I have to say that the pork was pretty delicious. I could have eaten the entire bowl to myself and ordered another (probably). The chicken karaage was classic – fried chicken with a Japanese mayo sauce. Thick and crispy on the outside, warm and tender on the inside. Just like it’s supposed to be. We went with the lunch specials: for $9.99, you get the choice between two miso broths for your ramen along with a side dish of either tofu or daikon salad. The bases of the miso soup are kome and shiro. Both broths were a touch too salty – with the first being a deeper, more heavy tasting broth and the latter comparatively lighter. As we got closer and closer to the bottom of the bowl, the salt level just shot up to the point where we had to leave it, which was too bad. Also important to note that many of the toppings you might get included at other ramen shops are charged for here so that the price of your base noodle bowl ends up racking up pretty quickly if you decide to get any additives. When it came time to pay it took significantly longer than the average amount of time you might expect. 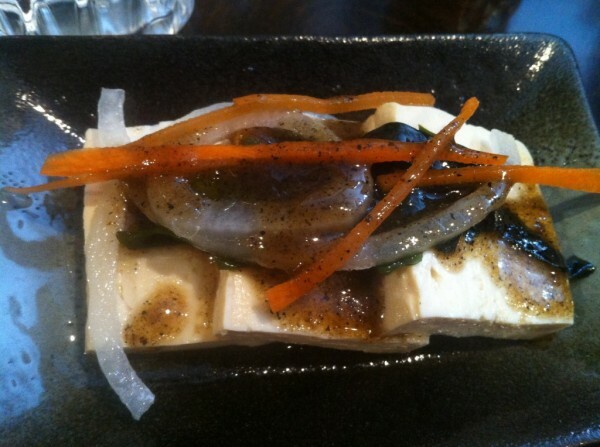 The servers have great attitudes, don’t get me wrong – big smiles and very accommodating. 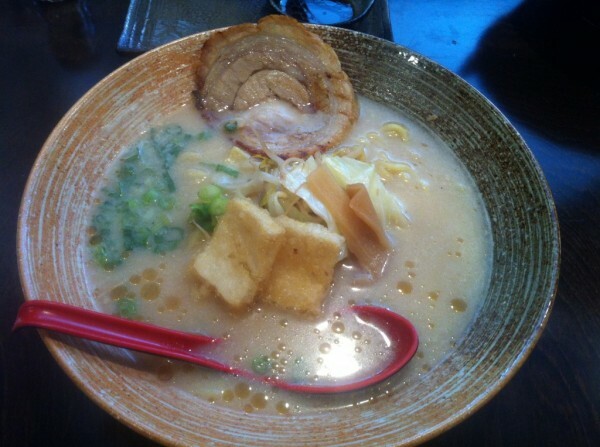 Ramen Misoya still has a few things to work on in terms of service and atmosphere, that much was clear from our visit. As for the food? For the most part, it delivers. 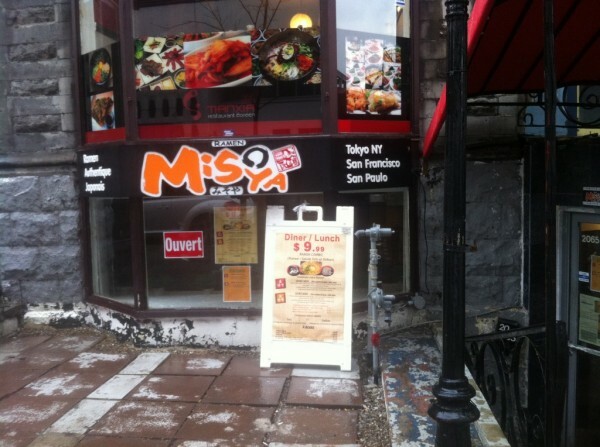 Pulling back on the salt all around might put the ramen at Ramen Misoya montreal on the map as one of best in Montreal. UPDATE: We’ve gone back since this post was originally written and we’re happy to report that the ventilation has been fixed! We also got to try out the fried rice – see below for photos! 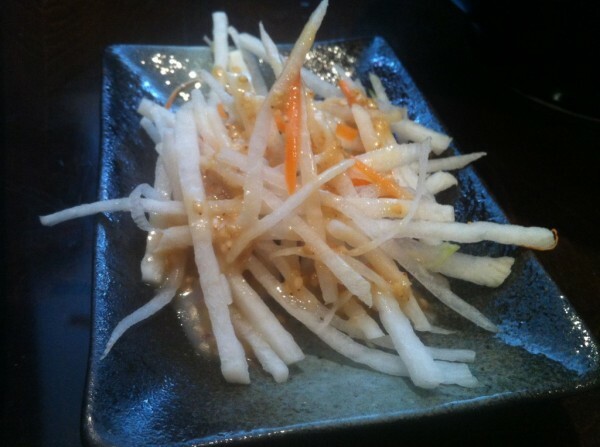 Tags: Bishop, Daikon Salad, Dinner, Dumplings, Gyoza, Lunch, Montreal, Pork, Ramen, Tofu.